5-Star trailed in third, taking 20 percent -- far below the 40 percent it won in the region in last year's national parliamentary ballot. 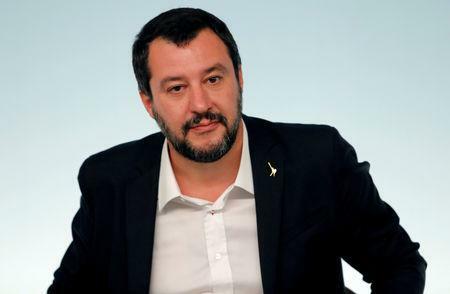 "It's a vote in Abruzzo and I don't think our 5-Star friends have anything to fear," Salvini told reporters, playing down speculation political instability could rise on the back of the vote as 5-Star seeks to regain the initiative. "As far as I'm concerned, nothing changes," added the League leader, who has become the predominant force in Italian politics since last March, thanks to a savvy use of social media and a folksy, plain-spoken approach that has appealed to many voters. 5-Star Transport Minister, Danilo Toninelli, said there was "a bit of disappointment" over the result, while 5-Star leader Luigi Di Maio has yet to comment.